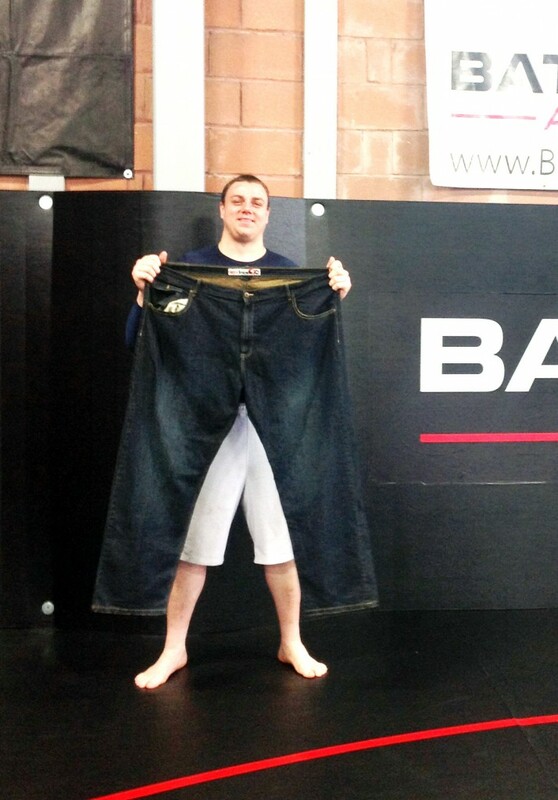 Sean (Bad Boy) Fletcher holds up a pair of jeans to show the size of the denims he wore before he joined Battle Arts Academy to pursue his dream of becoming a professional wrestler. If there is such as thing as big-boy pants, this is it, a 48-inch waist. But that was back before he started training vigorously as a wrestler three days a week at Battle Arts starting in October and supplementing his fitness regime with strength and conditioning and kick boxing classes at the gym. 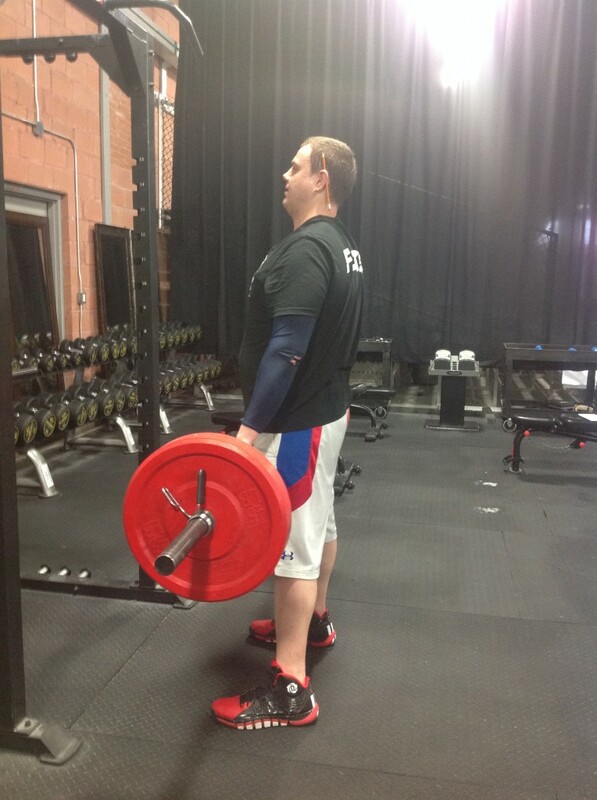 Collectively he is training six days a week at the gym. Looking at the jeans, Fletcher is reminded of what he used to look like before he shed almost 100 pounds on his 6-foot-4 frame to about 252 and dropped down three waist sizes. His physical transformation is something to behold. “I see what I looked like a long time ago,” he says. “I used to be that big and now I’m smaller than I ever used to be. I don’t know how I gain weight, but I’m trying to figure it out what I was eating back in the day and that’s the reason why I gained the weight. I’m trying to cut out some stuff so I won’t gain it back. Fletcher goes by the ring name Bad Boy, which also happens to be the name of a brand of athletic attire he wears. The Bad Boy gimmick came when it was suggested that would be a good name for him, so he started buying the Bad Boy gear. The 26-year-old played outdoor football in a semi-pro league for one year and indoors for four years, and while his oversized body and layers of loose flesh may have helped push around lighter bodies it hurt his knees. He knew making a serious commitment to wrestling would help him to shed some of his girth, but he also realized the importance of conditioning. “I can run more without getting tired,” he says. “I’m less tired in the ring now. I used to get so tired in the ring in the first few wrestling shows at Battle Arts, then I started working on more cardio and I became less tired. “I see a lot of wrestlers and athletes with the gut and they have energy somehow and they do really well. Offensive linemen have a little gut on them because they’re not doing much. You wouldn’t put a big guy like me on a receiver because I’m not going to run 40 yards into the end zone. Any big guy with a gut can play sports, you just have to learn it. That’s what I did. I learned it from the beginning. “Big guys can do wrestling, look at the Big Show. He’s 7 feet tall and weighs about 480 pounds. If you’re in the ring, you’re going to want to take your shirt off eventually. You don’t want to wear a shirt your whole career. You want to have a wrestling body. I’m trying to get rid of my stomach. It used to hang (with layers of fat) and now it’s almost gone. It’s getting there. I’ll probably get to about 240 and then I’ll put on maybe 20 pounds of muscle with weights. I do a lot of weights, a lot of dead-lifts and bench press. Fletcher worked out at various Toronto-area gyms before joining Battle Arts, which opened last September to provide specific classes for strength and conditioning and various forms of mixed martial arts. Anthony Carelli, who wrestles in the WWE as Santino Marella, is one of the instructors of the wrestling classes at Battle Arts. 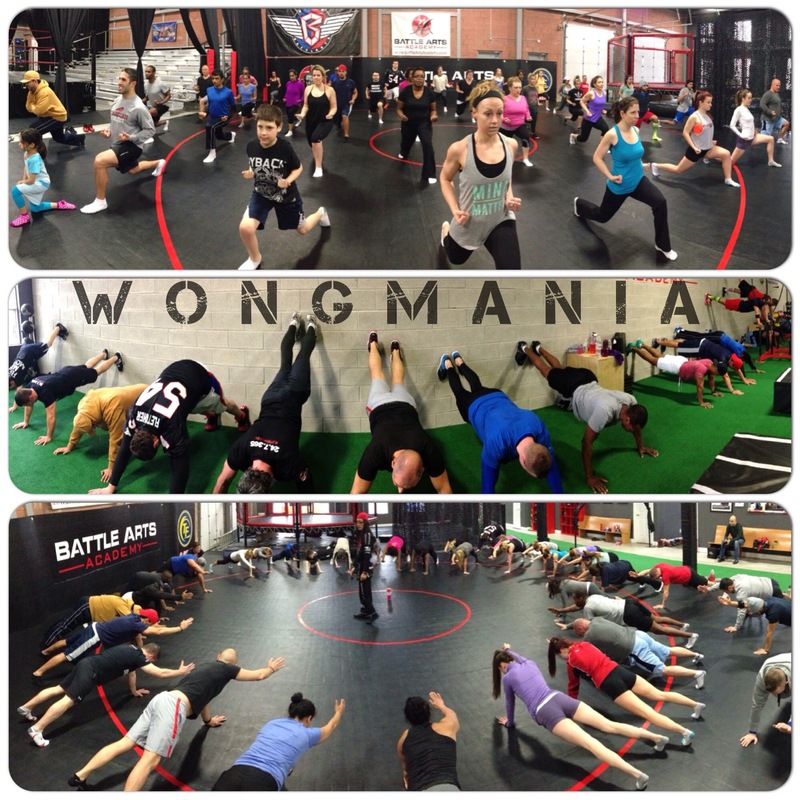 He is also one of the owners, along with Steven J. Wong, who oversees the strength and conditioning classes dubbed Wongmania, and Inside Fitness Magazine owner Terry Frendo. Marella dreamed of opening a gym in the area in Mississauga in which he grew up to train future champions with the specific training that helped him make it to the WWE. Beyond just the psychology and the art of wrestling, there is the physicality, and Carelli demands that his students work on their conditioning. The ones that are lean and don’t have definition on their body have been instructed to bulk up by working the weights, while the ones who are too heavy have been told to shed some of their bulk by working on their cardio. Fletcher’s father, Keith Robins, wrestled professionally “back in the day” in the East Coast circuit and regularly attends his son’s classes to watch him go through the moves. Fletcher is hoping to climb the rung to make it all the way up to the WWE, the top promotion in the world. While that may be a lofty goal, he is working hard at it. Bad Boy started out with a bad body, but boy of boy he’s made some important changes.